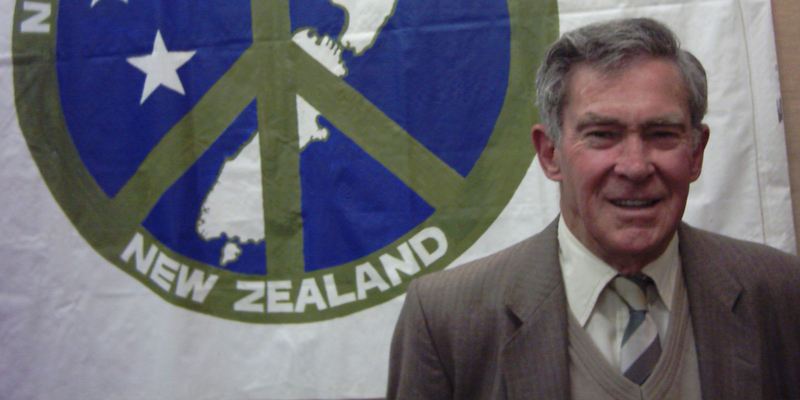 The Nuclear Free Zones Campaign of the early 1980s contributed strongly to the creation of a Nuclear Free New Zealand. Through the campaign, ordinary citizens successfully used symbolic protest activity and political lobbying to achieve a major milestone for peace and nuclear disarmament. From 1951 to 1986, New Zealand was an official US ally under the ANZUS (Australia-New Zealand-United States) agreement. The alliance relationship meant that the New Zealand government supported US nuclear weapons policies, and allowed potentially nuclear-armed warships to visit New Zealand. One creative social campaign that sought to end the country's support for nuclear weapons was to try to make New Zealand nuclear free piece by piece. In 1980, George Armstrong and Andrew Beyer launched the Home Base Pacific Pilgrimage, to support international action for nuclear disarmament and pursue the creation of local area nuclear weapon free zones. This initiative aimed "to cover New Zealand's whole surface with declared nuclear-weapon free people, properties and possessions." The campaign encouraged New Zealanders to declare their homes, workplaces, marae, churches etc. 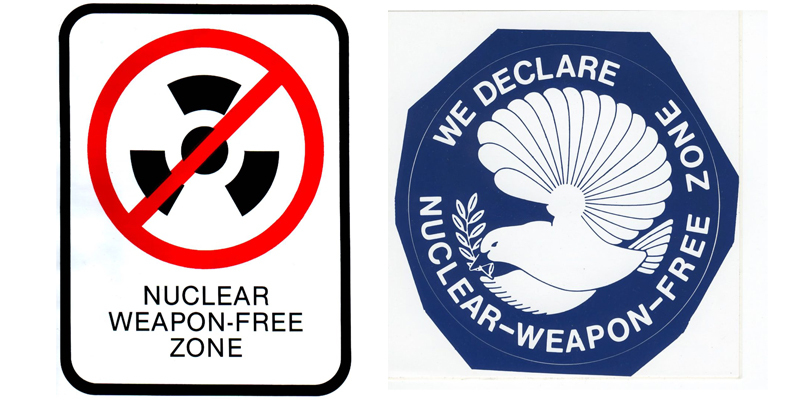 nuclear weapon free zones, to post a sticker to demonstrate the fact, and register their self-declared zone with the organisers. This enabled people all around the country to take action in their own areas, and put pressure on local politicians to declare their suburb, borough or city nuclear free. Devonport (home of the Royal New Zealand Navy) was the first elected local council to do so in March 1981, and Christchurch was the first city in 1982. 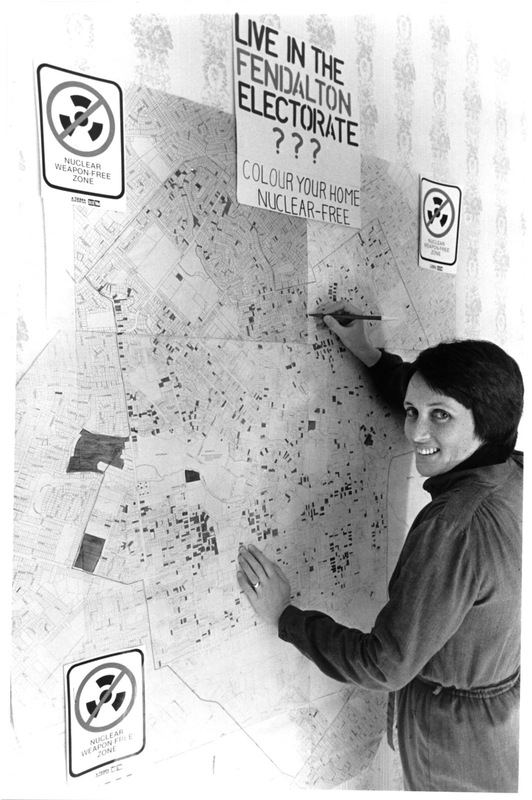 Kate Dewes marking out nuclear free homes in Christchurch in 1984. 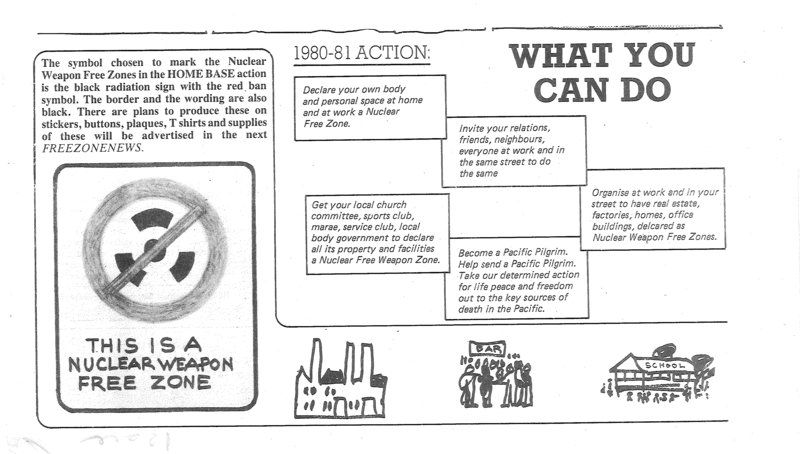 In 1984, 61% of New Zealanders were living in 86 locally-declared nuclear weapon free zones. This powerful symbol of anti-nuclear sentiment created significant political pressure at the national level. In the 1984 general election, which the prime minister called early, after a government MP, Marilyn Waring, announced she would support an opposition nuclear free bill currently being considered by parliament, three out of four main parties campaigned on anti-nuclear policies. Labour won the election with a strong majority. 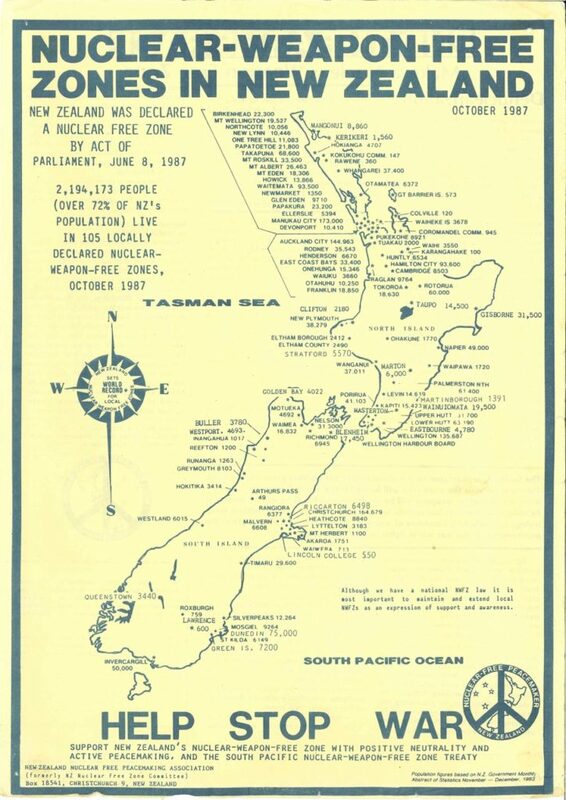 By October 1987, three months after the nuclear free law was passed, the elected representatives of 105 local-body councils had declared their areas nuclear weapon free zones, which now covered 72% of the New Zealand population.